My father passed away two days before I was scheduled to embark on an amazing adventure in Montana. Though the trip had been planned for nearly a year, I seriously considered canceling so that I could be with friends and family. I was drained from spending nights with him in the hospital his last few weeks. And I wasn’t sure if I was physically or emotionally ready to travel. My dad was not only a great father, he was my best friend. It was like losing two significant people in my life at the same time. Except for when I was in parts of the world where I didn’t have cell or internet service, we spoke every day. He was particularly excited about my trip to Montana. He was based in Great Falls, Montana, during his service in the United States Air Force and had always wanted to go back. Whenever he spoke of Montana he’d always mention the breathtaking beauty of Big Sky Country—with snowcapped mountains that stretched forever and more stars in a single night that you’d see in a lifetime anywhere else. He also told me that the winters were so cold that if you were to pee off the back porch, it would freeze before hitting the ground. I’m not sure if that part was true or just his sense of humor. All I know is that he was really looking forward to seeing my pictures and hearing my stories. 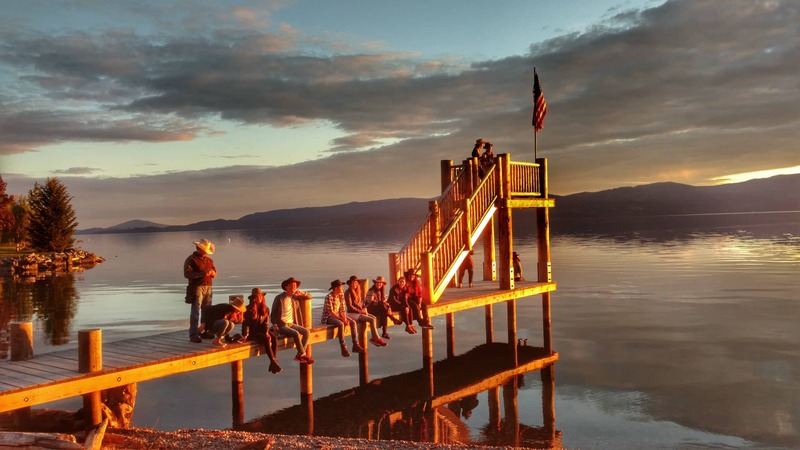 Viewfinder Tip: Book a stay at an all-inclusive dude ranch for an unforgettable Montana experience. Knowing that my dad would have wanted me to go, and with family’s blessing and encouragement, I packed my bags. As it turned out, Montana was the perfect prescription for my emotional healing. It couldn’t have come at a better time. There were countless time on the trip that I wanted to call my dad and describe what I was seeing. Those were particularly sad moments for me. I had never felt so unplugged before. But there was something about being in Montana and experiencing the place that was so special to my dad that I felt more connected to him than if I had been able to call him on the phone. It was an overwhelming sense of peace assuring me that everything would be all right. I typically take hundreds of photos on a trip and at the end of each day I would usually tag the photos and videos that I thought my dad would be most interested in seeing. Here are the photos from my Montana trip that I tagged for my dad. 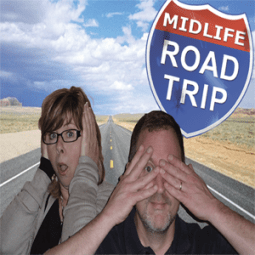 On the way to Flathead Lake, we pulled off the road to take in the gorgeous scenery. A few horses showed up to greet us upon our arrival at the Flathead Lake Lodge. Trail ride at the Flathead Lake Lodge. Sunset at Flathead Lake Lodge. 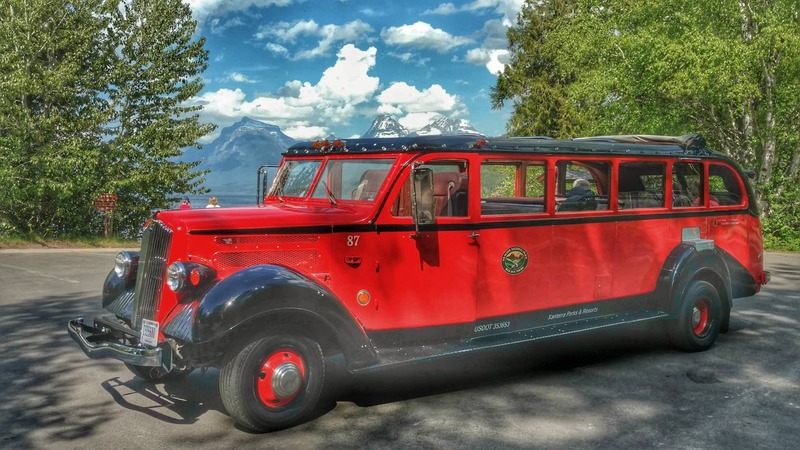 Dad would have loved the old red bus tours at Glacier National Park. 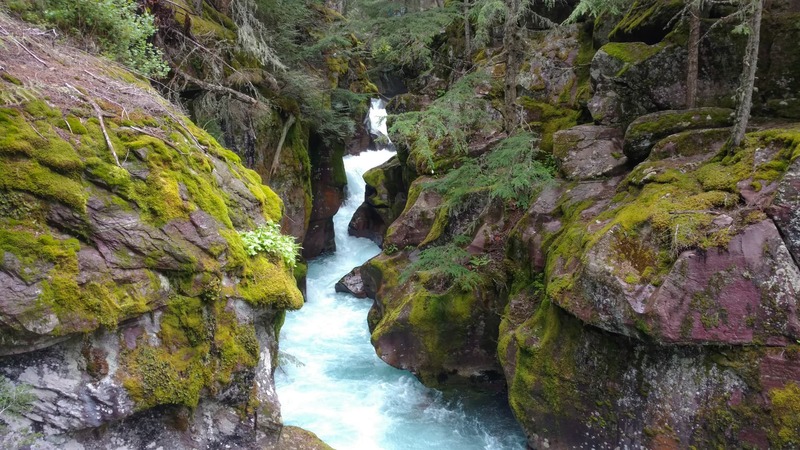 Walking along the streams in Glacier National Park was a calming and peaceful, if not spiritual experience. 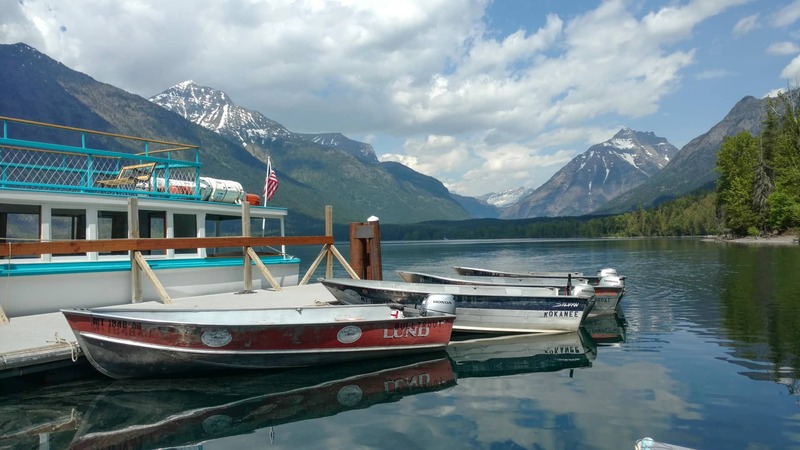 A boat tour of Lake McDonald in Glacier National Park revealed some incredible scenery. I figured my dad would enjoy this picture since he traveled from Alabama to Montana via the rails. Behind the silos you can see the Rocky Mountains above the clouds. Toasting the Whitefish, Montana. My dad loved small towns. Which destinations do you find to be healing and rejuvenating?